Awesome Wildlife and Fishing Opportunities: Conveniently located near the heart of Haines and surrounded by the snow-capped peaks of the Chilkat Mountains, the campground is a good base to explore the local state parks, museums, native culture and access to the salmon, halibut and trout fishing waters and bear viewing. 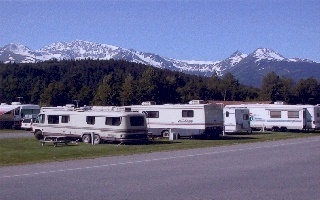 The Highest Rankings and Reputation: Haines Hitchup RV Park consistently garners the highest ratings from national directories including Good Sam and Trailer Life. Haines is the "quieter, pristine" Alaskan destination tucked deep inside the woods of Southeast Alaska surrounded by spectacular mountains, glaciers, and wildlife. 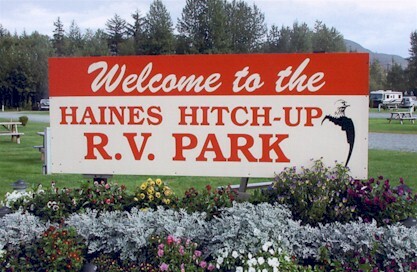 For 32 years, Haines Hitch-Up RV Park has been the place to stay in beautiful Haines, Alaska near the north end of the famed Inside Passage and at the terminus of the spectacular Haines Highway. Accessible by state ferry or highway, the 92 spacious grass sites at the Haines Hitch-Up RV Park are a favorite with RV'ers who appreciate its excellent design and sparkling clean facilities. Conveniently located near the heart of Haines and surrounded by the snow-capped peaks of the Chilkat Mountains, the campground is a good base to explore the local state parks, museums, native culture and access to the salmon, halibut and trout fishing waters and bear viewing. The Park's staff can connect you with many of the local tours to help you experience up close the scenery, wildlife and fishing in the area. 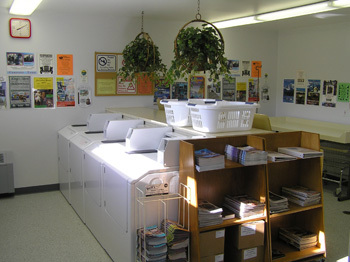 Haines Hitch-Up RV Park has FREE (ltd) WI-FI, sparkling clean restrooms with meter-free showers & a laundromat for our guests. There are 92 full hook up sites including 20 Pull-thrus. Cable TV & 50 AMP sites are available. 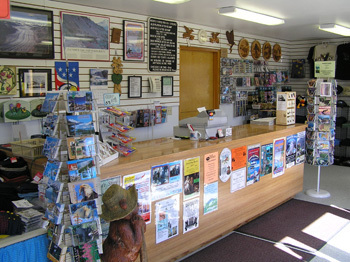 A well stocked gift shop is available for those special souvenirs. Reservations are recommended for June, July, and August. A trip to Alaska is a great adventure which you will enjoy and remember for the rest of your lives. Why not make your stay even more special by choosing the Haines Hitch-up RV Park for your stay in beautiful Haines, Alaska. "Amazing campground" 2 days agoReviewed by mistyspirit One of the best campgrounds we have stayed at! The grounds are very neat and well kept (grassy sites); the washrooms are the cleanest we have ever seenat a campground...absolutely spotless, well lit and ventilated (3 shower and 2 toilet stalls in the ladies); the staff were all pleasant, informative, and welcoming. The campground is a bit of a walk to town (about 15 minutes for a short slow walker), but the view of the mountains all around is spectacular! Would definitely recommend this to everyone!